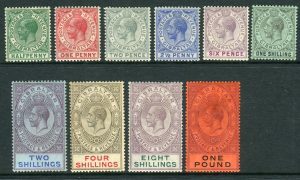 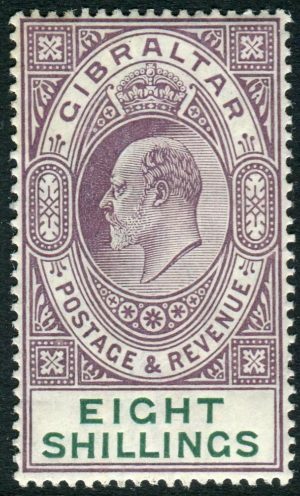 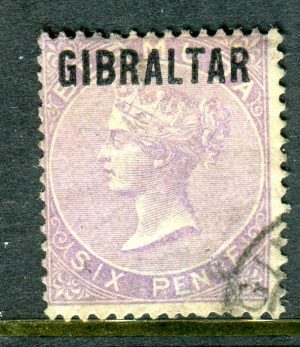 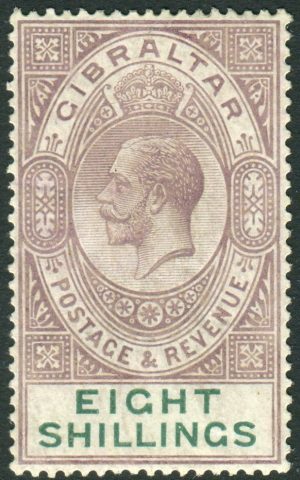 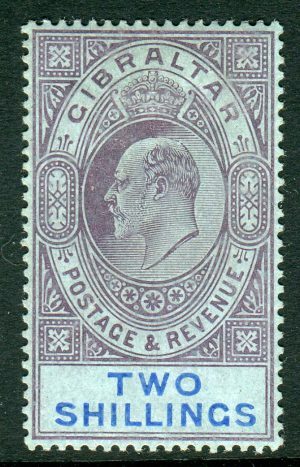 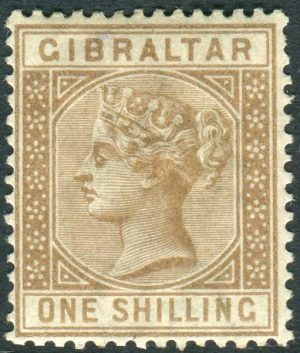 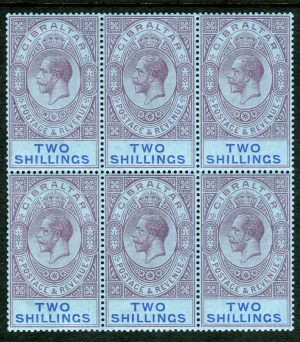 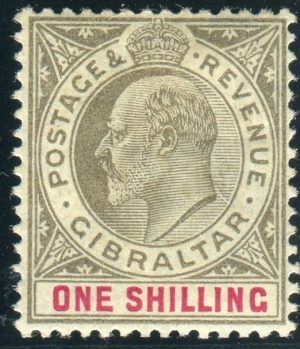 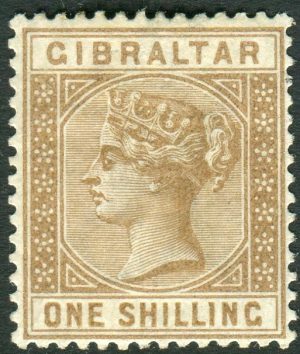 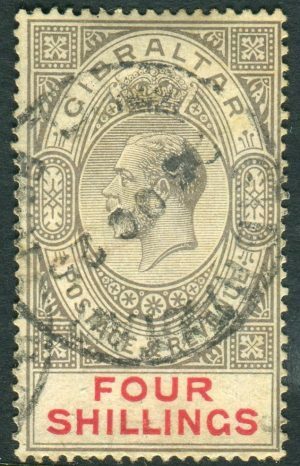 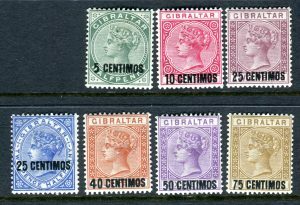 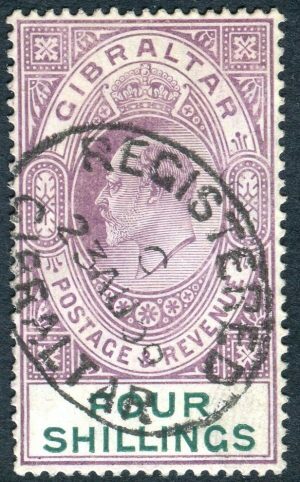 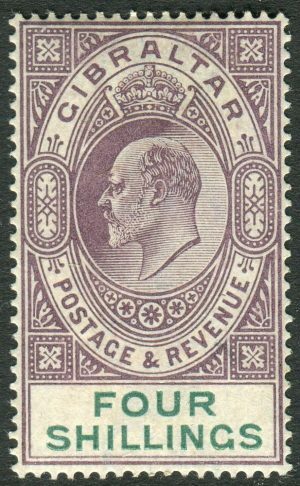 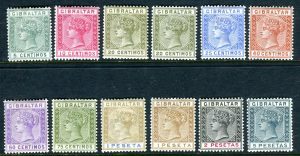 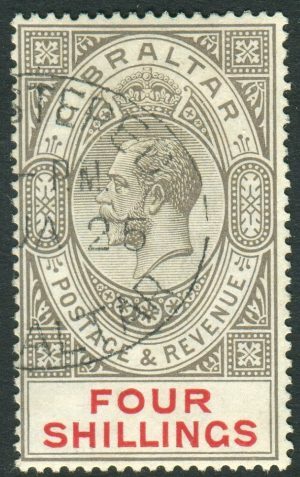 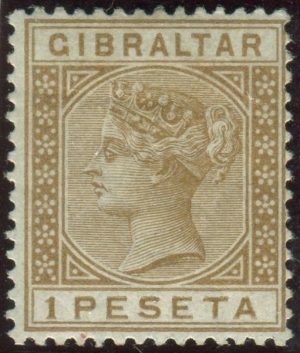 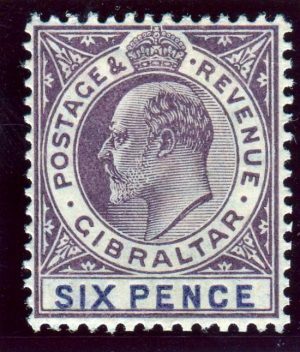 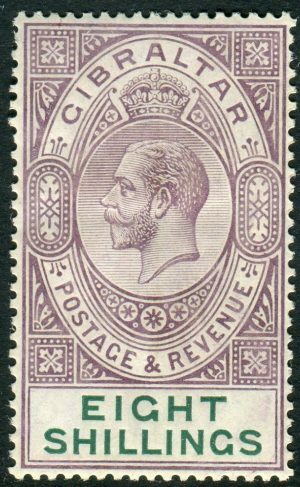 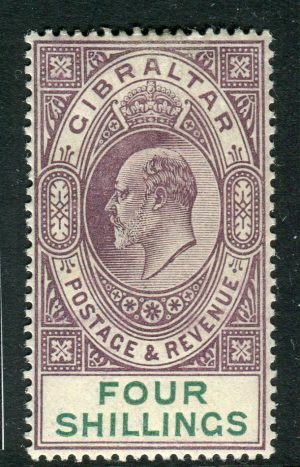 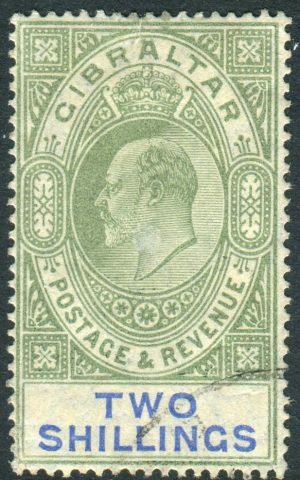 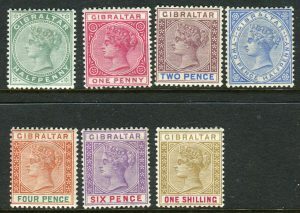 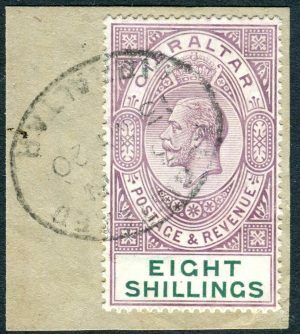 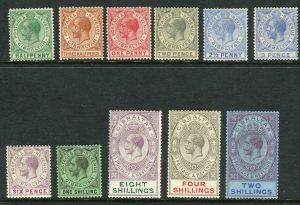 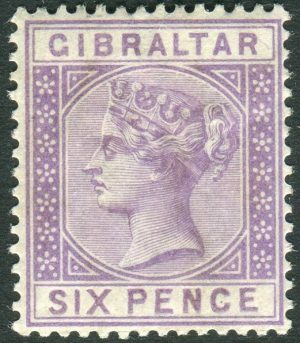 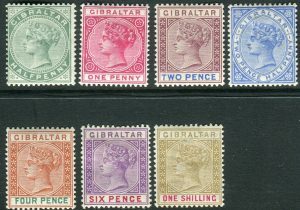 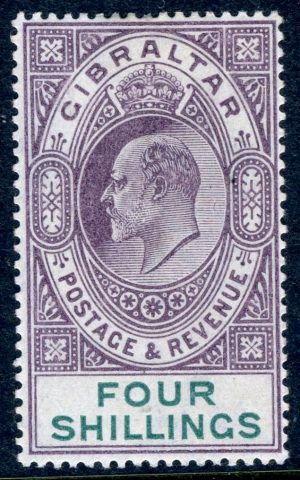 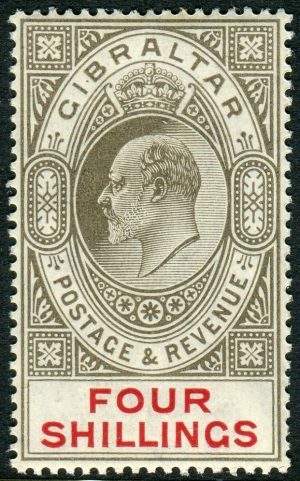 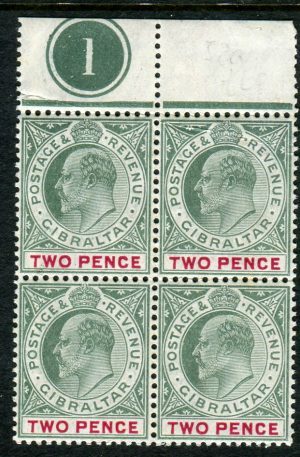 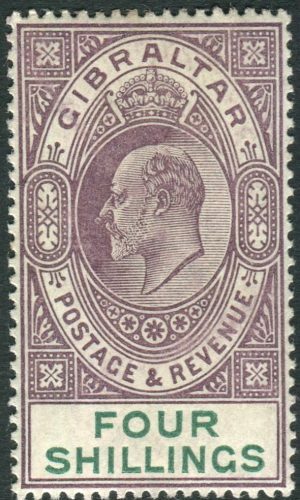 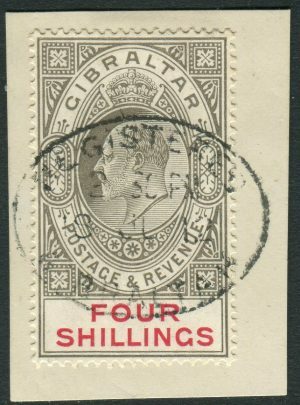 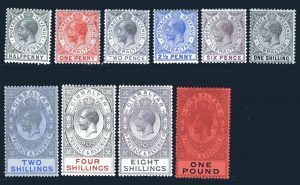 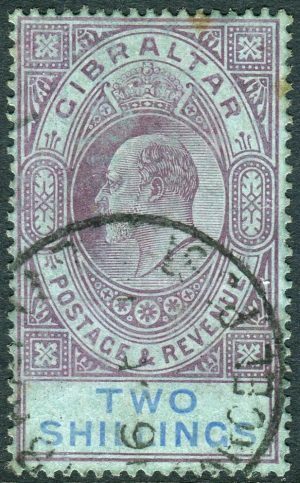 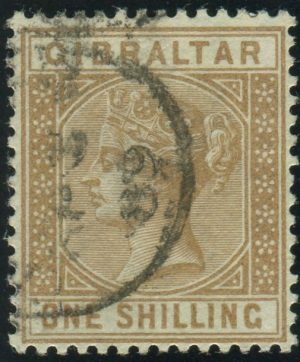 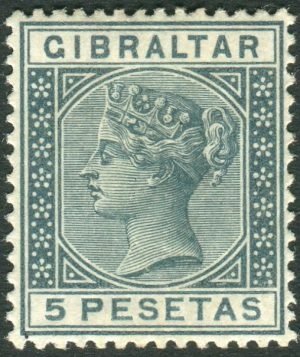 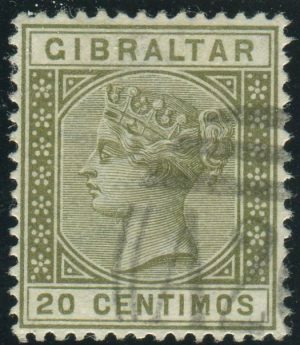 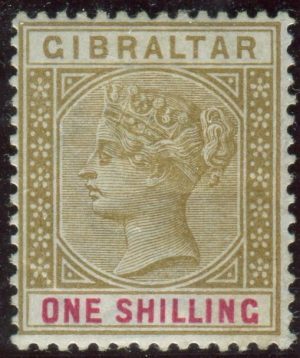 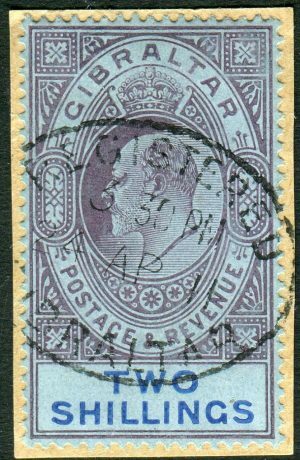 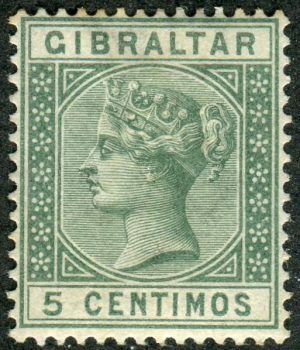 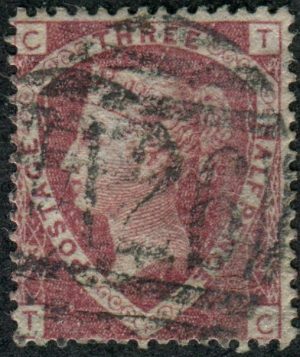 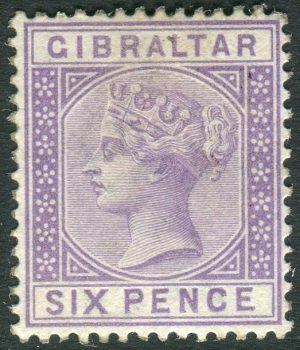 GIBRALTAR-1903 4/- Dull Purple & Green. 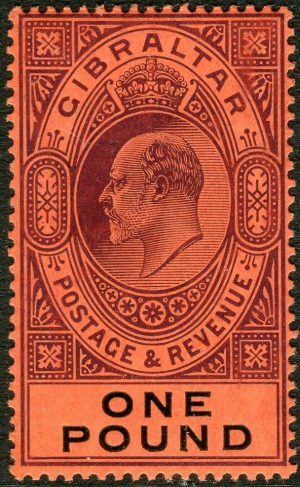 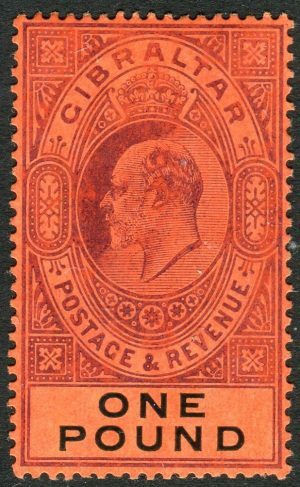 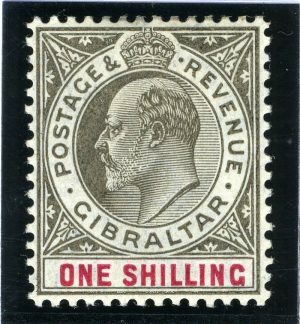 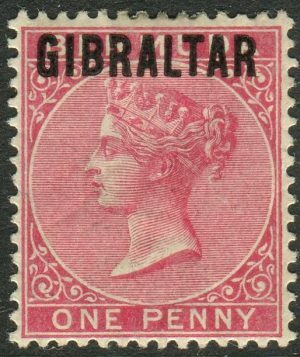 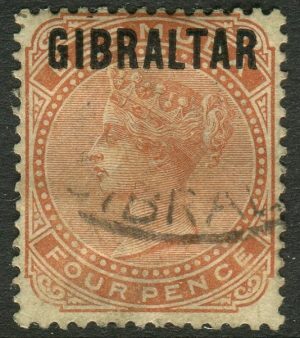 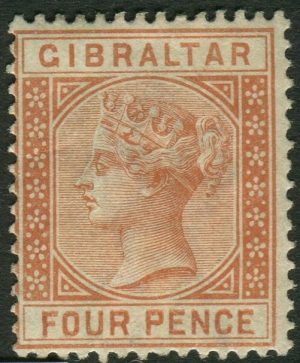 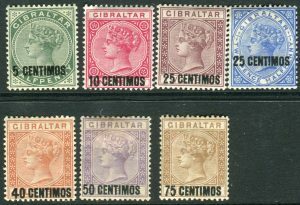 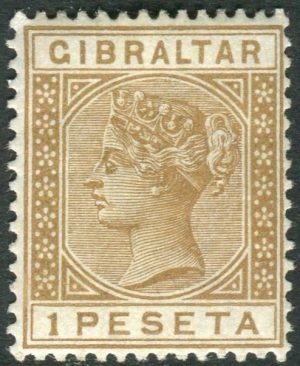 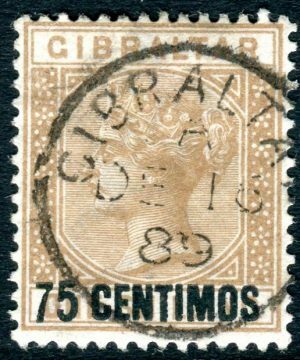 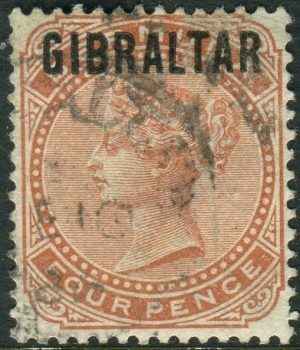 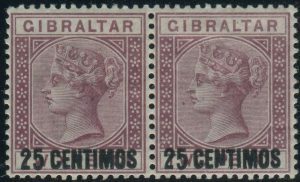 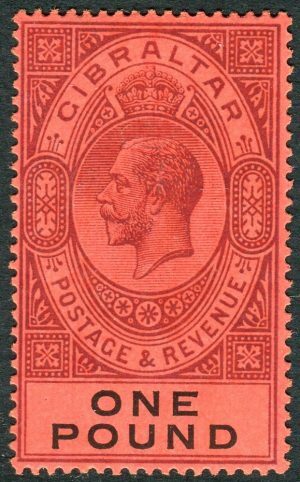 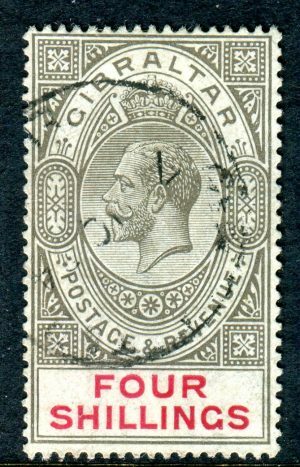 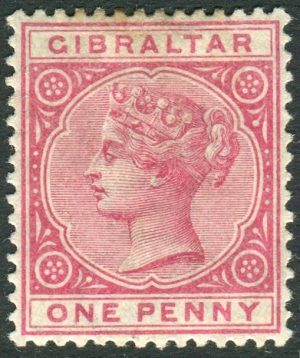 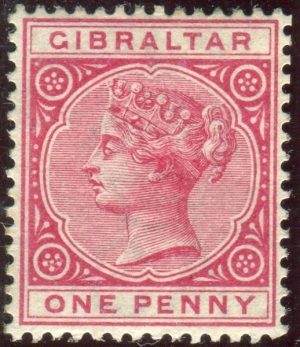 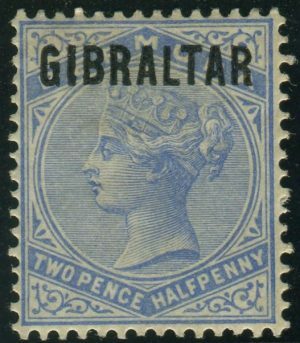 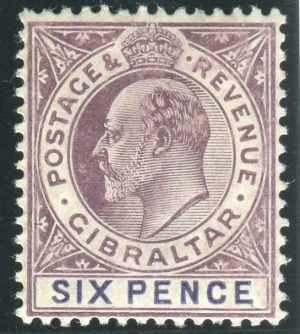 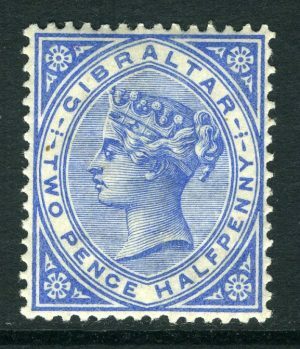 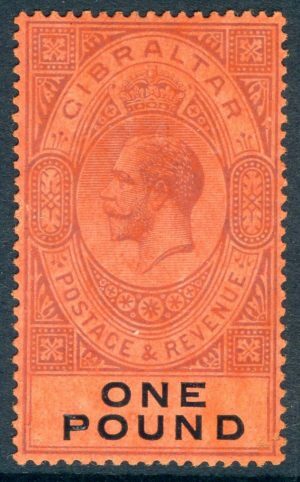 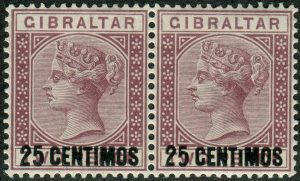 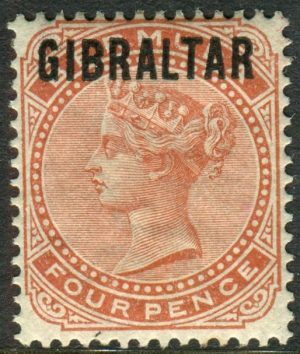 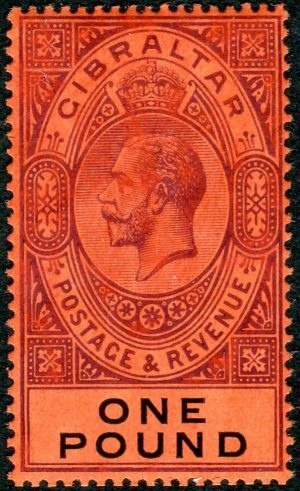 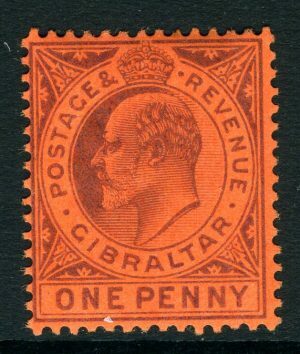 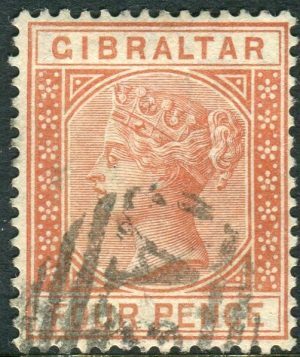 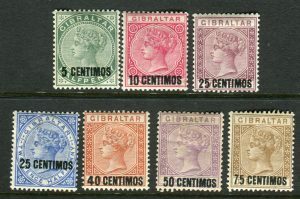 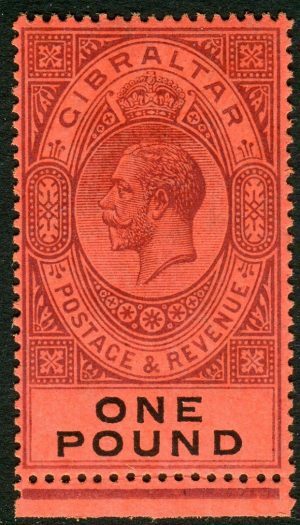 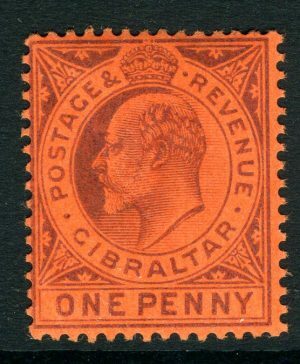 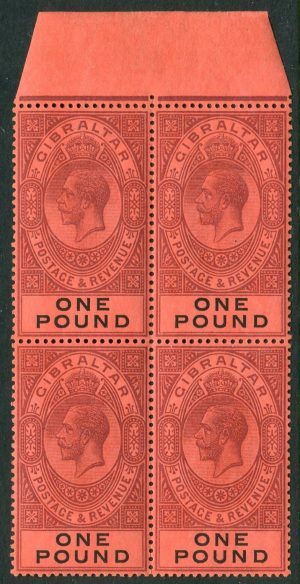 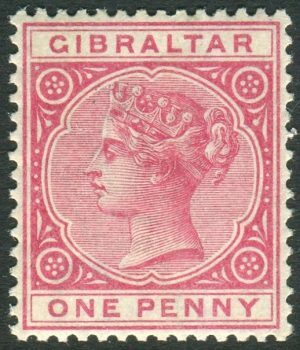 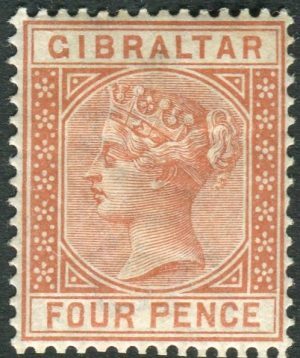 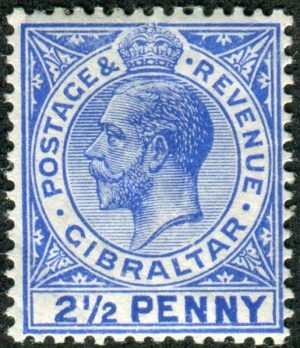 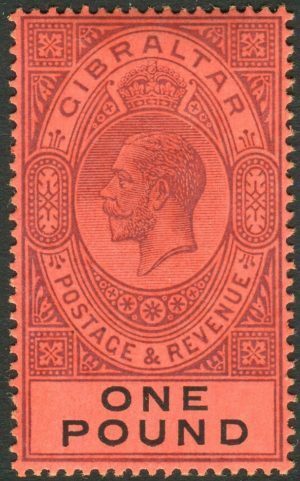 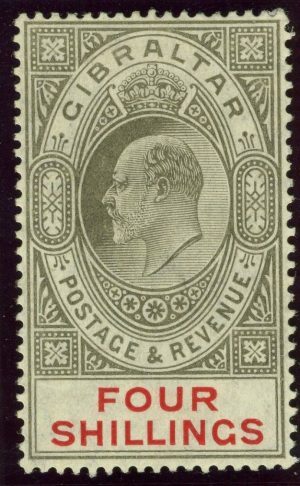 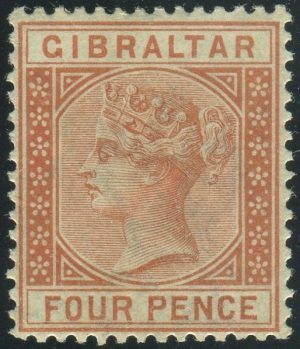 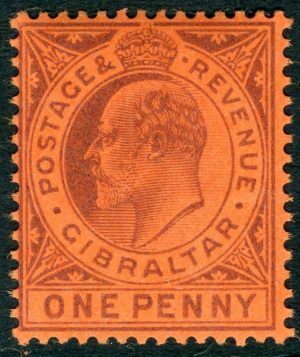 GIBRALTAR-1904-8 1/- Black & Carmine on Chalk Surfaced Paper. 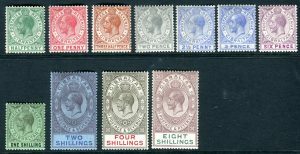 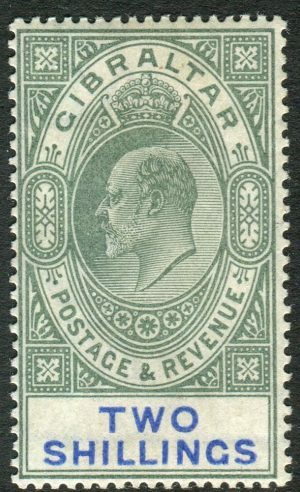 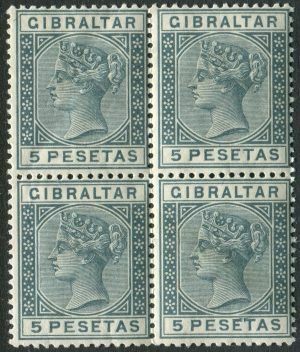 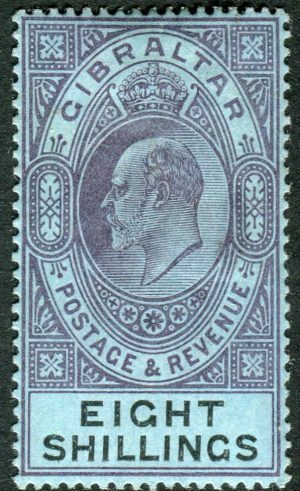 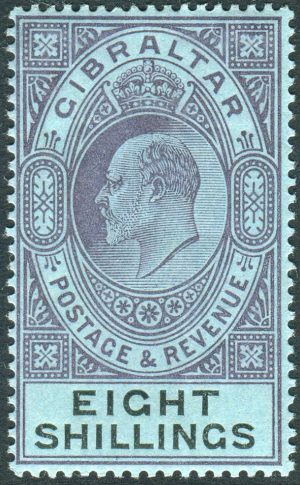 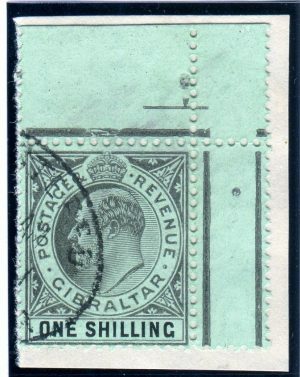 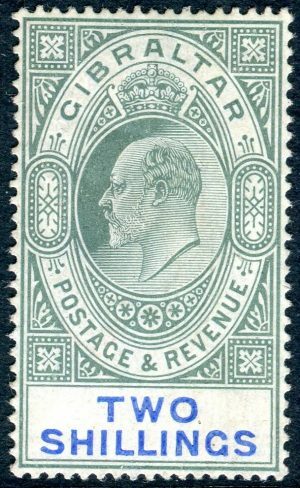 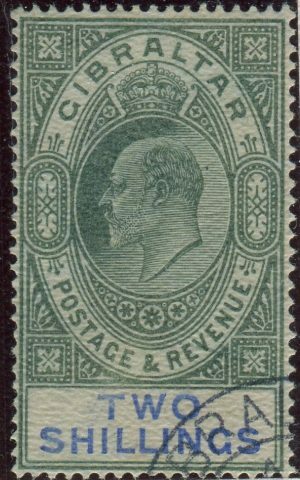 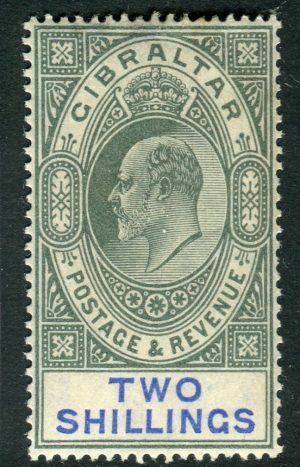 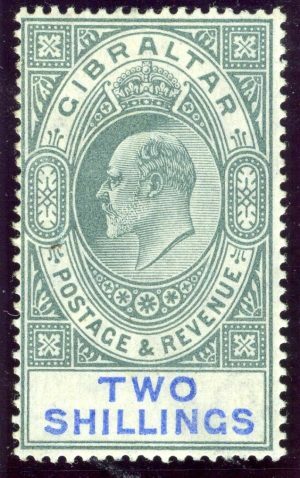 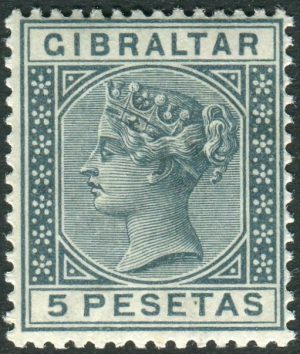 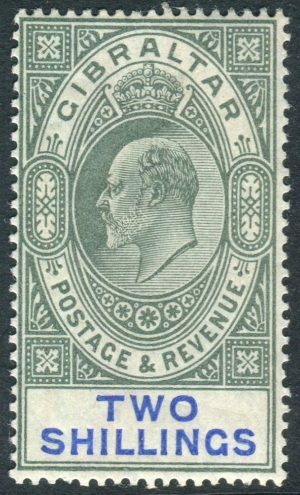 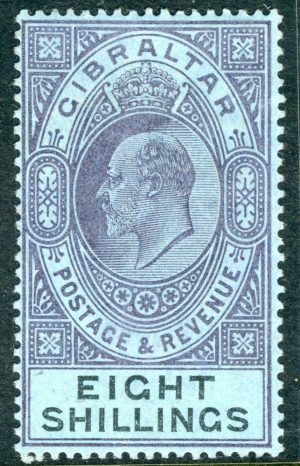 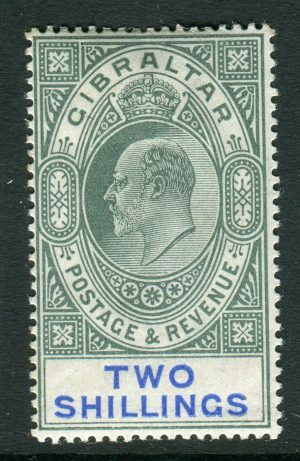 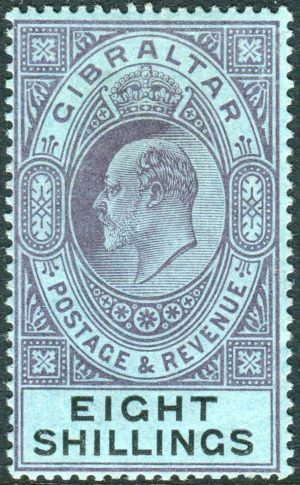 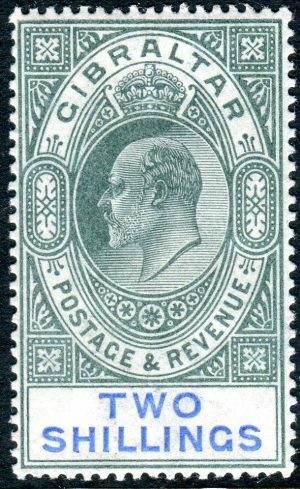 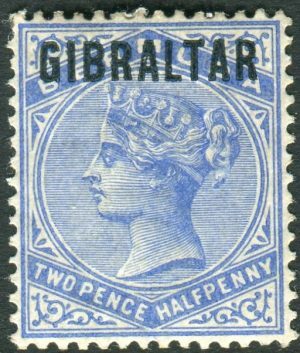 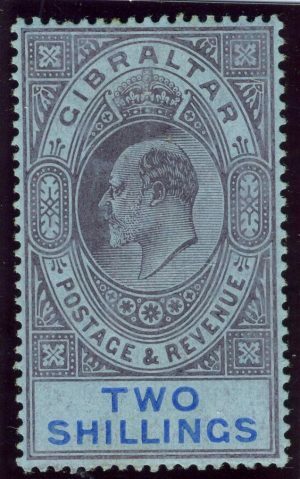 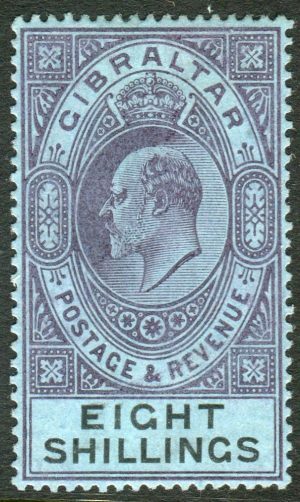 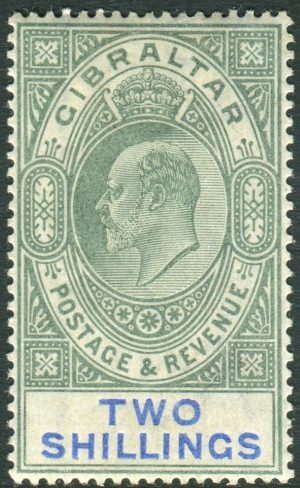 GIBRALTAR-1905 2/- Green & Blue.